Think you could be getting a better deal on your home loan? Whether you’re in the market looking for a new home loan or an existing mortgage holder looking for a better interest rate, you could potentially be saving hundreds or even thousands of dollars in interest by getting a Mortgage Broker to shop around on your behalf. Just like any other product or service, home loan interest rates & features change over time. What was previously the best home loan deal for you yesterday, may not be the best home loan deal for you today. We shop around for almost everything else we buy, so why should our home loans be any different? Just think about it, is there anything else you spend more money on than your home loan? Learn more about why you should shop around for your next home loan. Regardless of whether you already have a home loan or are looking for your very first mortgage, shopping around makes huge financial sense. 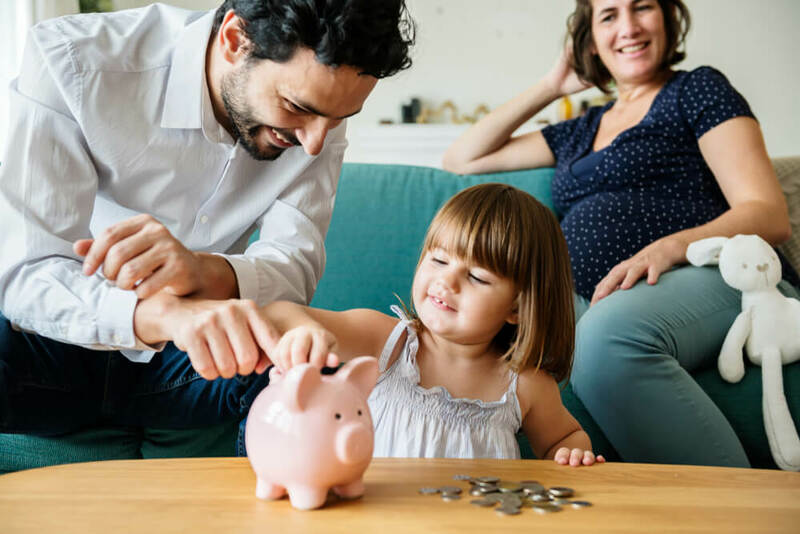 From choosing the ideal first home loan, to refinancing your existing home loan for a better interest rate & features, to wanting to consolidate all your loans into one home loan, you can save big by just shopping around. Instead of focusing on solely the interest rate – which is often a big concern when it comes to finding a home loan – look at the overall cost of the home loan when you’re shopping around. Choose features that will help you pay off the home loan sooner and reduce your overall costs in the long run. A professional Mortgage Broker will be able to point out specific features and benefits of different home loans that could really benefit you. Could you do with a 100% offset bank account, or would fee free redraw do the trick? Am I happy with a variable interest rate, or a fixed interest rate, or a little of both? Shopping around for a home loan will help you find the best deal for you. But before you ask the Mortgage Broker to submit your home loan application, be 100% sure that you have made the right Lender & product choice. At all costs avoid applying to more than one Lender at the same time or changing your mind after you have submitted the first application & deciding to submit another application to a different Lender. Multiple home loan applications can negatively impact your credit rating and raise questions as to your creditworthiness. Lenders may be more inclined to decline your application because of multiple simultaneous applications and/or too many Credit enquiries on your Credit File. Working with an experienced Mortgage Broker, can help you negotiate the “mortgage maze “faster & narrow it down to the Lender & home loan product that best suits your needs the first time. Before you sign up to that new home loan, make sure that you’re aware of any potential early exit fees/break fees, ongoing fees, set up costs & discharge fees. Have your Mortgage Broker give you a complete quote involving interest rates, & fees of all types. If you are looking at refinancing your existing home loan, have the Mortgage Broker prepare a “cost/benefit “analysis of refinancing the home loan. If you’re on the look out for your first home loan, it’s important to align yourself with an experienced , qualified & professional Mortgage Broker that is accredited with , & has at least 35 different Lenders on their panel . A Mortgage Broker that solely focuses on Mortgage Broking & doesn’t also try to be an Insurance Broker or a Financial Planner or is in fact a part time Mortgage Broker. A Mortgage Broker that has a team of people around them so that you know there is back up support if for some reason the Mortgage Broker can’t tend to your enquiry. A Mortgage Broker that doesn’t work from the “boot of a car “but is part of a professional outfit. A good Mortgage Broker will find the right home loan for you. If you’ve already got an existing home loan, it’s wise to shop around occasionally and consider refinancing options. As an extension of this, if you have a couple of short-term debts, e.g. Personal Loan, Car Loan & say a Credit Card, you may get the Mortgage Broker to look at refinancing all these loans into your home loan. You need to run the figures to see if it’s worth wrapping all your various loans into your home loan, to see if you pay less interest in the long run. Due to cash flow issues, sometimes you may not have much choice but to wrap all your loans into one easy to manage monthly repayment. Each situation is different, so get the Mortgage Broker to show you the costs/benefits of consolidating all your debt into one home loan. A professional Mortgage Broker will always be only too happy to see if they can get a better deal on your home loan. A professional Mortgage Broker will email you updates every month. Be sure to respond to your Mortgage Broker & ask the Mortgage Broker to look at your specific needs. Regardless of your circumstances, from new first-home buyers to “trader uppers”, to investors to people wanting to consolidate debt, you could save significantly by working with a professional Mortgage Broker. With access to thousands of different home loans, Mortgage Brokers help you negotiate the “mortgage maze “for what works best for you. Taking the stress out of the whole home loan process. At Better Choice in Perth, our experienced Mortgage Brokers help you make smart choices when it comes to home loans and refinancing. Offering sound advice based on your circumstances, requirements and goals, we help you find the best home loan for today & keep an eye out for the best home loan for you tomorrow. Learn more about shopping around for your next home loan with a home loan broker. Contact us on 1300 805 221.